Our Confluence Vineyard is located in the heart of the Anderson Valley, adjacent to the headwaters of the Navarro River. In addition to marking the coming together of two creeks, our Confluence Vineyard embodies two distinct terroirs: rich-soiled benchlands and a steep hillside section. This diversity has inspired two limited-production Pinot Noirs—Confluence Hillside and Confluence Lower Bench. The Lower Bench fruit is a Martini heritage clone, grown in Confluence’s fertile benchland soils. These vines ripen weeks later than our hillside grapes, producing the generous red-fruit flavors that have become the hallmark of Confluence. 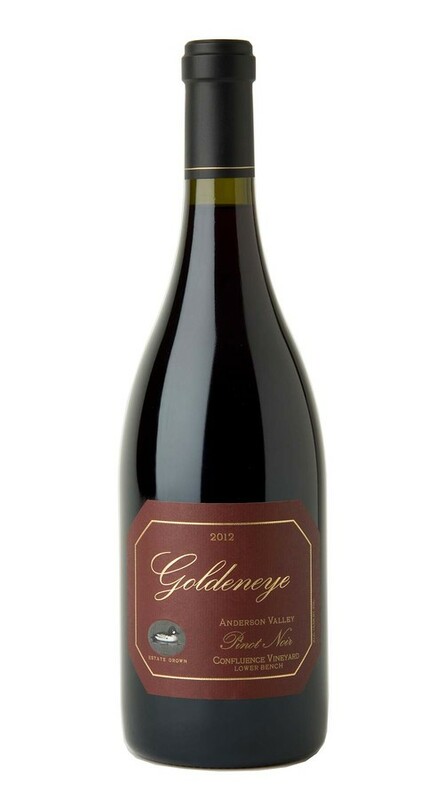 Planted in the rocky, sedimentary soils of an ancient riverbed, where the vines are forced to dig deep into the earth, the blocks selected for this wine yielded a Pinot Noir of great concentration. Made predominantly from Pommard and heirloom Martini clones, it reveals earthy, cigar-box flavors and a piney wildness that add depth to the velvety texture and voluptuous red berry flavors. The finish is framed by firm tannins that bode well for long-term aging.